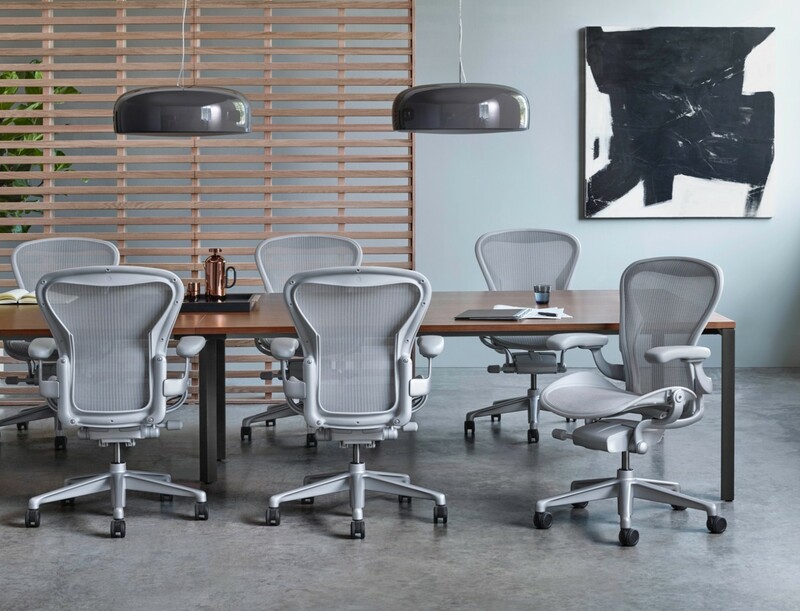 For individuals sitting in Aeron, cross-performance design means the chair fully accommodates the widest possible range of activities and postures people adopt while working — from intense forward-facing focus to relaxed contemplative recline. 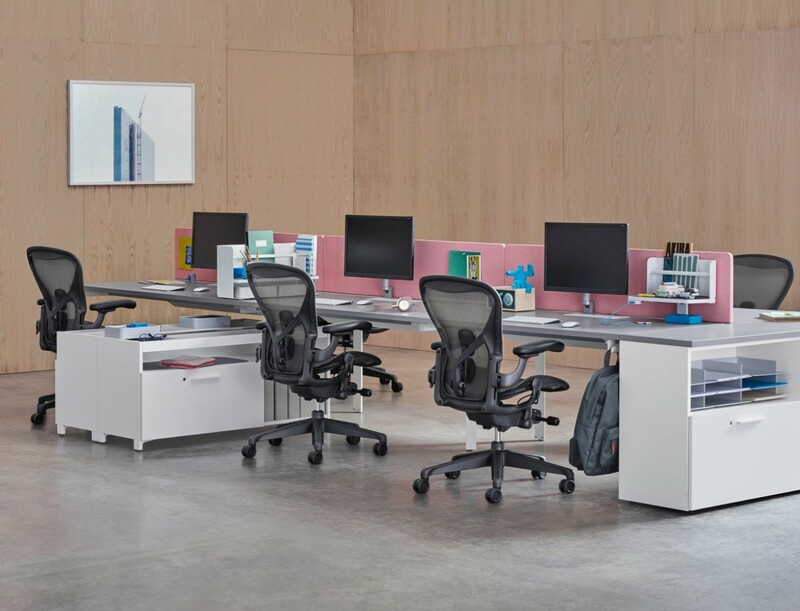 For designers and organisations, cross-performance makes Aeron suitable for a wide array of settings for today’s work — from workpoints to workshops. 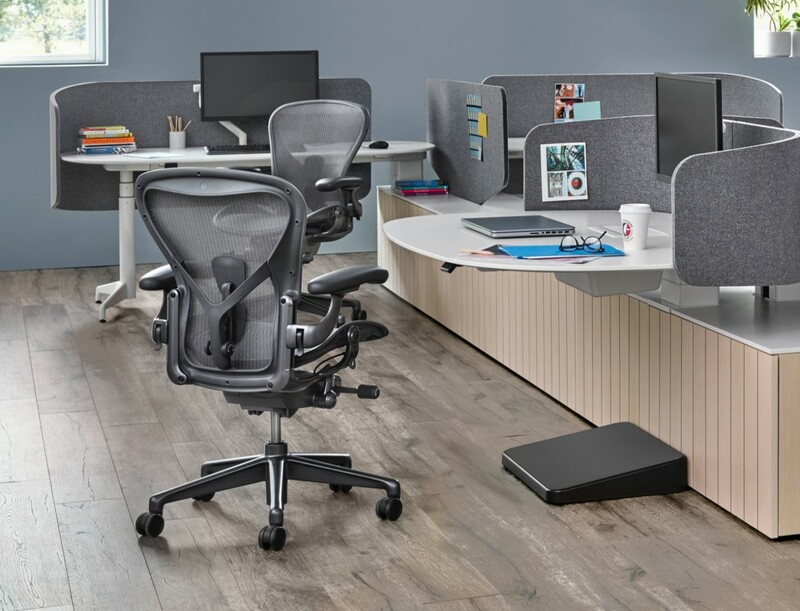 While the original design supported many work activities, Aeron’s frame angle has been thoughtfully reconsidered to better support the body in upright positions and across a wider range of postures afforded by today’s work and tools. Aeron’s original design made it possible to adjust the amount of recline and resistance to the sitter’s liking. Depending on a person’s scale, this involved up to 50 turns of the tilt mechanism. 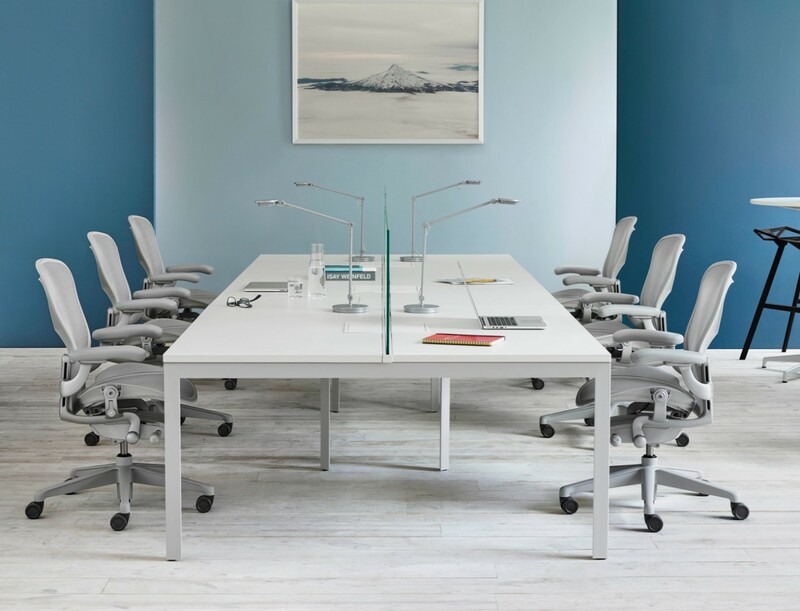 The remastered chair offers updated user adjustments for intuitive fine-tuning; advancements in engineering have allowed Herman Miller to scale back the amount of turning, twisting and time spent customising a personalised fit. Now the sitter can reach a custom recline with minimal effort. Additionally, an updated arm mechanism moves up and down and pivots in and out, as with the original Aeron Chair, but a greater degree of personalisation through front to back adjustments.